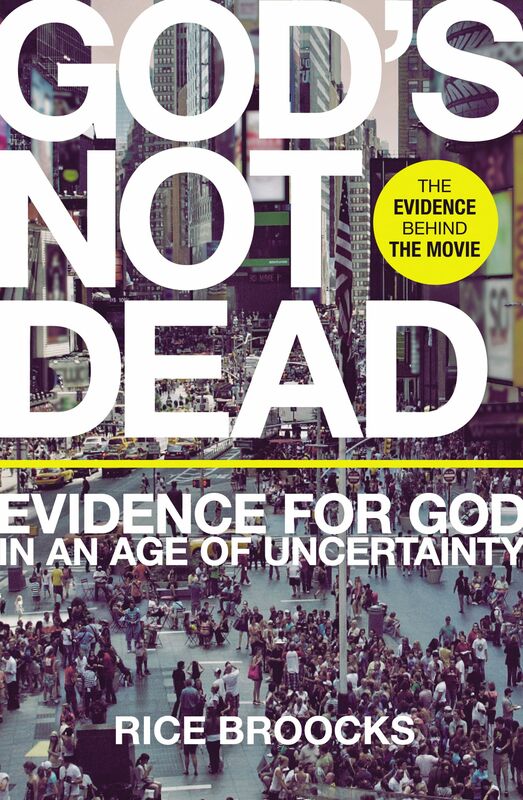 The goal of "God's Not Dead: Evidence for God in an Age of Uncertainty" is straightforward: to help readers develop "a faith that is real and credible--and strong enough to help others find faith in God." To that end, Rice Broocks outlines a roadmap that guides seekers to acknowledge the most basic truths of Christianity: There is overwhelming and exciting evidence for God's existence. The God who exists is indeed the God of the Bible. God has revealed his nature through his Son, Jesus Christ. As shown during the movie, this is the original book on which the main character bases much of his debate points with the atheistic professor. Persuasive arguments crafted with tools borrowed from logic, science, and philosophy, as well as scripture, solidify the faith of the Christian reader and provide starting points for discussions with sceptics. With clear, easy-to-follow explanations of key concepts and controversies, "God's Not" "Dead" is apologetics for the twenty-first century, presented in layman's terms. Readers will be empowered not only to talk about their own faith with confidence but to lead others to a relationship with Jesus. God's Not Dead by Rice Broocks was published by Thomas Nelson Publishers in March 2015 and is our 18937th best seller. The ISBN for God's Not Dead is 9780718037017. Be the first to review God's Not Dead! Got a question? No problem! Just click here to ask us about God's Not Dead.